Founded in 1960, the Liège Royal Philharmonic (OPRL) is French-speaking Belgium’s only professional symphony orchestra. Supported by the Fédération Wallonie-Bruxelles (Belgium’s French-speaking Community), the City of Liège and the Province of Liège, with the assistance of the National Lottery, the OPRL performs in Liège – in the prestigious setting of the Salle Philharmonique (1887) – and throughout Belgium, as well as in great concert halls and at major festivals around Europe, in Japan and the United States. Moulded by its founder, Fernand Quinet, and by its Music Directors (Manuel Rosenthal, Paul Strauss, Pierre Bartholomée, Louis Langrée, Pascal Rophé, François-Xavier Roth, and, since 2011, Christian Arming), the OPRL has developed a sound identity at the crossroads of the Germanic and French traditions. This course will continue under Gergely Madaras, starting in September 2019. It combines a determination to support new work and to promote the Franco-Belgian heritage, while also exploring new repertoire, with a recording policy that has led to nearly 100 recordings. Recent and ongoing developments in its discography include a recording with the Sirba Octet (DGG / Universal France), Respighi’s complete symphonic works (BIS), symphonic works by Saint-Saëns (BIS), Bloch and Elgar (La Dolce Volta), Ysaÿe (Alpha), and, Franck (Fuga Libera / Musique en Wallonie). For more than fifteen years now, the OPRL has taken up the challenge of presenting the greatest music to the widest possible audience through original projects. Since 2016, it has benefited from a partnership with the Mezzo Live HD television channel (in Europe and Asia). 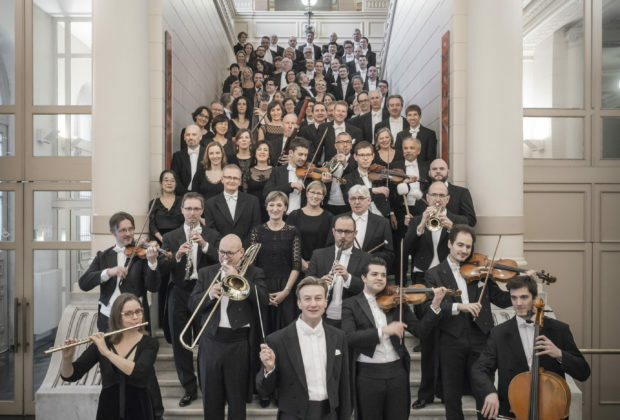 The OPRL is also very much committed to the social role it plays throughout the year, taking music to sections of the population with little or no experience of classical culture, and especially, since 2015, through the establishment of neighbourhood orchestras with the ReMuA association (El Sistema Liège).